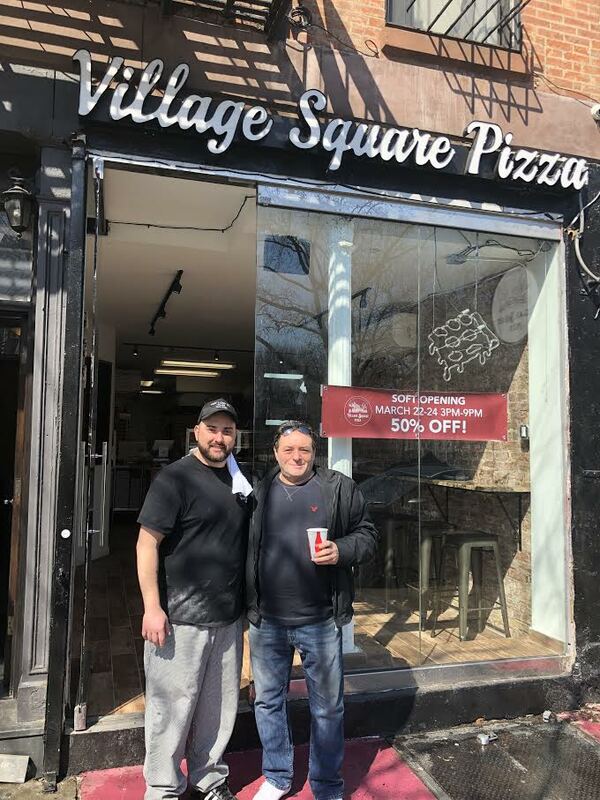 Village Square Pizza is having a sneak preview this weekend at 147 Avenue A between Ninth Street and 10th Street. The pizzeria, which serves a variety of square slices, is offering 50-percent off of everything today through Sunday from 3 to 9 p.m. The grand opening is March 29. The inventory! Come by this weekend and grab a slice / square for our soft opening! 3/22 - 3/24 (Fri - Sun) 3PM-9PM. Everything will be 50% off! Eggoo, which sold Hong Kong egg waffles and ice cream sandwiches, was at No. 147 for a year. Before that we had La Lucha for six years. Pizza everywhere. Just every step you make -- pizza. Wherever you go, you are there (with pizza store a few doors down).